Because it was 14,702 days ago. Back when current President of Russia Vladimir Putin was 22, current President of France François Hollande was 21, current U.S. President Barack Obama was 14 and current President of Syria Bashar al-Assad was 9. 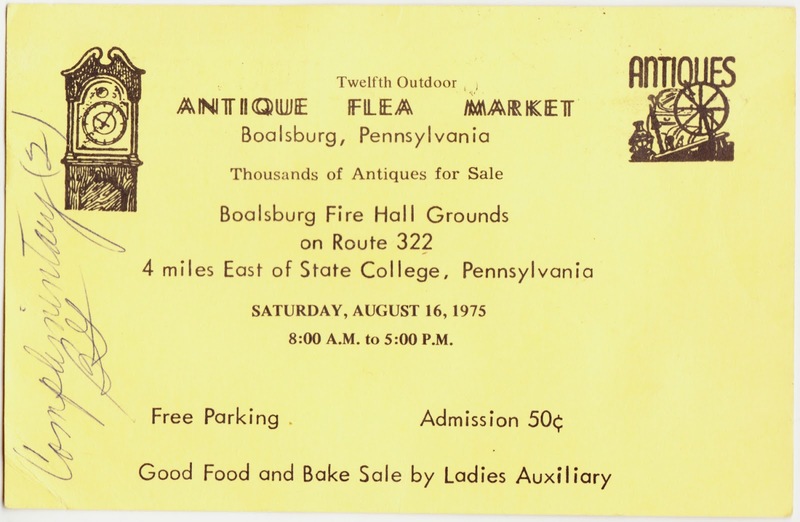 Wouldn't it be fun to go back in time and see what kind of antiques and prices were available at this event? It bet the baked goods were tasty, too. 1. I would, however, like to additionally note for posterity that the advertising card was mailed by Betty J. Gates in Boalsburg, to Phyllis Antiques on Buford Avenue in Gettysburg.